This entry was posted in South Carolina and tagged Brookgreen Garden, Intercoastal Waterway, Murrells Inlet, Quilting, Snowbird, Socastee, South Carolina, Swing Bridge. Bookmark the permalink. As you pack, do you make a list of those things that you “really used” or “never used” during your stay? I do that when I travel. My cosmetic bag used to be overstuffed with “just in case” items. I’ve thinned it out and downsized. Do you have a list for next year for the “WISH I HAD” ? As you head North, I will be heading South for a bit. The daffodils are blooming in Delaware. Your photos are beautiful. Great question. I keep a list on ‘notes’ on my phone and add and subtract stuff each year. We have stayed in three different condos and each one had different ‘things’ so it has been challenging. But, we’re staying in the same one next year, so that will be a huge plus because we know what’s here and what we need to bring. Hope you have a good trip. Sorry to see you packing up, but another good quote is “To everything there is a season….” And for you, it’s gardening in your own patch of paradise! I don’t recall ever seeing a pivoting bridge. Safe travels to the frozen north. 😉 However, I do think there is not as much snow your way as there is in central Maine. Sorry to see you packing up, but there’s another quote that applies to you: “To everything there is a season….” For you, it’s planting in your own patch of paradise at home! I love how that egret (?) just noodles along, not a care in the world in HIS/HER own patch of paradise! No doubt the ” so long’s” with all your snowbird friends will be sad, but looking at your photos of all that beauty that surrounds you, that must be hard to leave. Having said that, you must be eager to get your hands in the dirt creating your own beauty in NH, notably installing a bird fountain/pond. Enjoy this week’s activities and have a safe, uneventful trip home. Oh, jeez, thanks, Judy! I’ll love having the Rawhide theme in my head for the next few days! Sorry I did that to you. 🙂 If you can imagine the traffic when all these folks pull out heading north, that is all I can think in my head – those trail rides that never ended. Ooops–hit send too soon. I actually have had Madonna’s Material Girl stuck in my head for awhile, and I only know two lines from it, so Rawhide is a welcome relief. I’m also now wracking my brain, trying to remember here I saw one of those pivot bridges in action. Have a wonderful last week and trip home! This newest edition of WordPress has it’s frustrating points for sure! Safe travels homeward! These are wonderful photos, Judy. Thanks for trying to embed the video, I’m sorry it caused so much havoc. I think we might have some warm-ish weather for you when you return, but feel free to throw some in with the sewing machine and haul it north, We have the remnants of an old pivot bridge in the Windsor Locks Canal. They were an interesting attempt to deal with the problem posed by bridges. I hope you have a safe ride home. We should be in the 60s Sat/Sun – but any warm air will help. Thought of you yesterday as I was pruning Spirea. Cool in Michigan but need to break up Garden chores into small chunks. Sure hope those YouTube landscapers weren’t pulling my leg. They sure look pathetic ( not the landscapers!) but there were small buds so we’ll see. Oh, you had some lovely, and glorious sunsets, and sunrises there, and the bag looks wonderful. I love all the flower pots, and boxes on the privacy wall. There was a tree in the middle so I couldn’t get a shot of the entire wall, but a privacy fence plus vertical gardening was a really good idea. Well, if you’re heading north, young lady, it really must be spring. I’ll hold you to that! Mind you the stream is rushing and the birds are singing, so you may be right. Hey! That is Mr. Eastwood! He was my neighbor when I lived in town, or at least he owned the property across the street. I have not seen him in many years. Prior to that, I had not seen him since I was a little tyke. Impressive? I do not remember Rowdy Yates, but I heard about him and the show. I doubt he was as cool as Mr. Eastwood. Oh, of course; I just do not know much about that show or the characters. I remember the location of it more, because it was on the Chisholm Trail Mr. Eastwood did a few characters who I was not impressed with because they were so . . . different. It is like watching a stranger who happens to look like Mr. Eastwood a very long time ago. We had a pivot bridge over the Minnesota River in Chaska until a flood undermined the central pier and it had to be taken down. It was part of a rails to trails system and loved jogging over it almost every day. The bridge was swung manually by the turning of a “key”. It must have been a big key. Judy, your time seemed so short this year. Was that just my imagination? Most of our snowbirds will begin to leave around May 1 and we won’t see them again until November. Question, do you lease the same place each year, or do you own? It seems like you always return to the same community, so I was curious about that. Love your photos, as always. Safe travels. Thanks for sharing that with me Judy. I am always weighing the pros and cons of owning vs. renting a second home. We still travel a lot, but I can see a day in the not-to-distant future when I might want to have a different experience. I hope you have a safe trip north…and hope the packing goes smoothly. I love your pics…would have liked to see the bridge in action. Searched a little bit on youtube, but will go back and look more. It’s almost April?? Sorry to see you head back… but your Spring yard calls for you. Another purse finished and this is a beauty as well! Safe travels …if I don’t chat with you again before you leave. Oh neat! I wish it would have worked for you, I’d like to see it. I haven’t seen many drawbridges and those I did see, well it’s been a long time. It’s not yet spring, Not quite, anyway. If I were you, I’d wait another couple of weeks. Then it really WILL be spring, assuming we have spring this year! I do remember “Rawhide.” I hope when you’ve headed up and moved on out that the weather will greet you gently and you’ll be glad to be home. Safe travels and enjoy the time until you leave. I remember Rawhide, sort of. I like how it reminds you of the snowbirds heading north. Around here it’s mid-April when we see them drive by on their way to the UP or Canada. I’ll sing the Rawhide theme song to them as they go by. Going home already. Your southern sojourn always seems to go by so fast. Happy homecoming! I was a devoted fan! Cut em out, ride em in, rawhide! 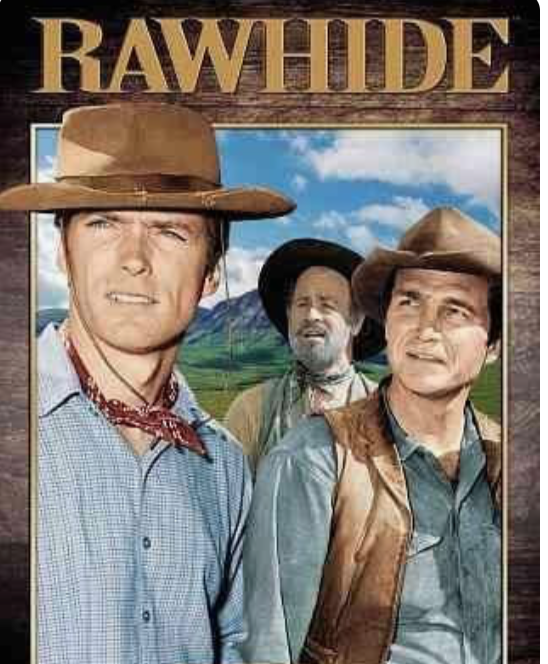 Of course, being a lover of classical music, I remember the theme from Rawhide! I couldn’t help laughing because I was sure I could hear you singing it as you packed up. Your photos are beautiful and show that you will miss that world even though it will no doubt feel good to be home, especially with garden season dawning! Thanks for taking us along! I watch Rawhide almost every Saturday when I’m home and chuckle at the incredibly young Clint Eastwood.